The CASE Advancement Internship program seeks to increase and diversify the number of professionals in educational advancement. This program is designed to attract students (undergraduate and graduate) who may not have previously considered a career in institutional advancement. CASE defines diversity to include ethnicity, nationality, gender, sexual orientation, age, able-ism. The program is an eight-week summer internship (June 3 - July 26, 2019) in which the advancement interns work, 32-hours-per-week, within areas of a university's advancement office. Interns receive on-the-job training and gain valuable skills in the five professional areas of advancement — alumni relations, advancement services, communications and marketing, fundraising and development. More than 100 CASE Advancement Interns across North America gathered in Washington, D.C. for the 2018 Internship Conference. The CASE Advancement Internship Program provides an exciting opportunity for students to explore educational advancement through eight-week paid internships. 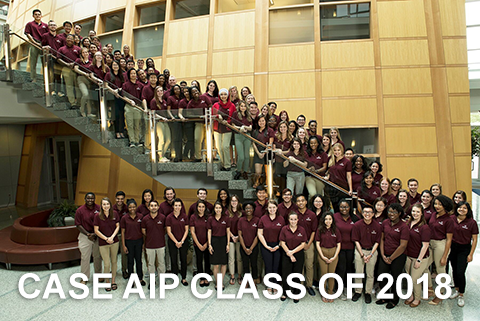 Interns work in advancement offices at host institutions throughout North America. Interns gain a hands-on learning experience and develop skills in alumni relations, annual and major gifts, stewardship, events, marketing and communications. Stipend or hourly wage determined by host institution. Most institutions offer a $5,000 stipend. The program is open to undergraduate, graduate and recent grads. Apply online by Feb. 8, 2019. For more information, contact James Bresette, coordinator, student and talent management programs, at jbresette@case.org.